You can find just about anything for sale on the auction powerhouse eBay. Selling old or unused items on eBay is a great way to make some extra money. After viewing some listings, it can be tempting to start thinking about what possible things you could sell for some quick cash. 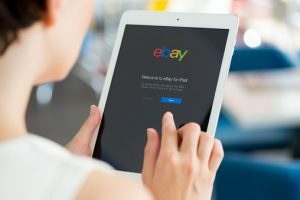 However, before you start rummaging through your basement or grandpa’s attic, it is important to understand what you can’t or shouldn’t sell on eBay. Here are a few items that new eBay sellers should think twice about before listing. Here are a few items that new eBay sellers should think twice about before listing. Designer handbags are some of the most popular types of counterfeit products. You may have a bag that you think is designer but is actually a replica. Selling counterfeit products is in violation of eBay policy and eBay actively monitors its site for fake items. Even if you claim that you did not know that a bag was a knock-off, you will still be held responsible. Your account may be suspended and eBay may report you to the authorities. If you do want to try selling a designer bag anyway, you will need to have it authenticated by an authentication service, a company that specializes in determining the authenticity of items. However, if you are an eBay newbie it is probably better to stay away from selling designer bags. Designer bags should be authenticated before being listed on eBay. New eBay sellers sometimes sell autographed memorabilia for too low a price, allowing a more experienced buyer to buy it for cheap and resell it for a big profit. And just like designer handbags, autographed items also have to be professionally authenticated to ensure authenticity. Read more about eBay’s authentication policy. There are several eBay scams that have involved smartphones, cameras and other electronic and audio/visual equipment. In one scam, a buyer will purchase an item, then take valuable components out of the item and tell the seller that they were sold a defective item. They will return the now nonworking item back to the seller and receive a refund. eBay typically supports the buyer. So the seller now has a defective item that they cannot resell, and the buyer has working parts they can sell for a profit. Another scam is that someone purchases an item, claims they never received it and demands a refund. To avoid being a victim of this scam, look for other ways to sell or trade-in your used electronic devices. Alcohol is not permitted to be sold on eBay but selling alcohol containers and bottles is allowed. Large and heavy items like furniture can be sold on eBay, but you should consider how you will pack and ship your item. The hassle and cost might not be worth it. While you can sell them on eBay for local pickup, you will probably be better off selling them on Craigslist or a Facebook group or at a garage sale. Selling fine jewelry can be profitable but can be risky even for experienced eBay sellers. The eBay Jewelry Selling Guide suggests that you know how much your jewelry is worth, and to get your item appraised and authenticated. This will help you determine your expected selling price and will also give potential buyers peace of mind. Also, there have been scams where someone purchases a jewelry piece and replaces the gemstones with fake stones then demands a refund. Costume jewelry is generally safe to sell on eBay but vintage costume jewelry can actually be very valuable. If you have costume jewelry that is vintage or antique or that may possibly have historical value, be sure to get it appraised and authenticated. While you can sell these on eBay, a better marketplace for handmade crafts is Etsy. You will be more likely to attract interested buyers and be able to sell your items for higher prices. Read this Omni article for additional eBay selling tips.